I’m in the midst of my second season of Pump Up the Base. I could see dramatic improvements in my riding last year and hope to see some more this spring and summer. I’m fortunate to work out at a place that has WattCycles. 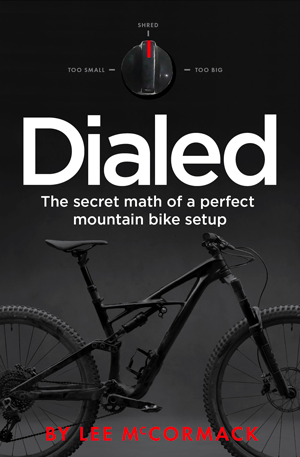 They show cadence, wattage and time, but they also show a graphic of your pedal stroke. This photo is typically what my stroke looks like in the sweet spot, when I use the techniques you talk about in Pump Up the Base. To me, it feels the most natural and efficient. When I stand and pedal, it’s close to this, but with maybe even a bigger dip in the middle. I asked some of the national/resident team cyclists working out up there about it, and they told me a perfect reading would be a perfect circle. I then asked the guy if he pedals a perfect circle. He just laughed and said no one does. Assuming that’s the case — and I have no reason to doubt him — what should this readout look like, and how can I get there? I’m glad you’re digging the Pump Up the Base off-season training plan. 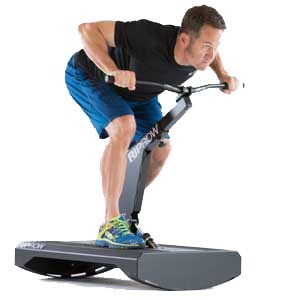 It’s a great way to build aerobic fitness, peak power and great pedaling technique. I just finished Year 4, Week 9, Workout B, and I’m feeling good. 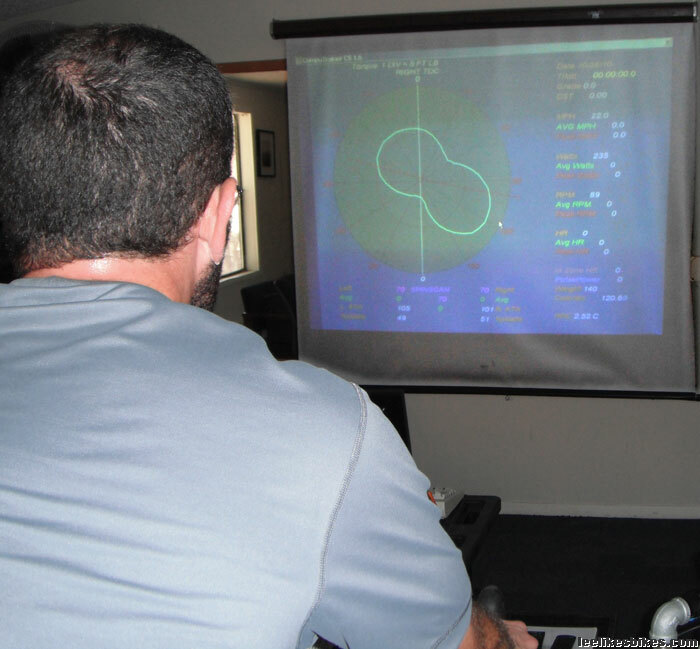 You’re stoked to train with such detailed, immediate feedback. I love it. 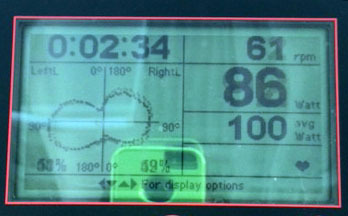 The distance between the middle of the chart and the outside of the shape shows relative power. The farther the graph is from the center, the more wattage is being made. Your pedal stroke looks pretty darn good. Like most riders, you’re making most of your power on the downstrokes, a bit below level. 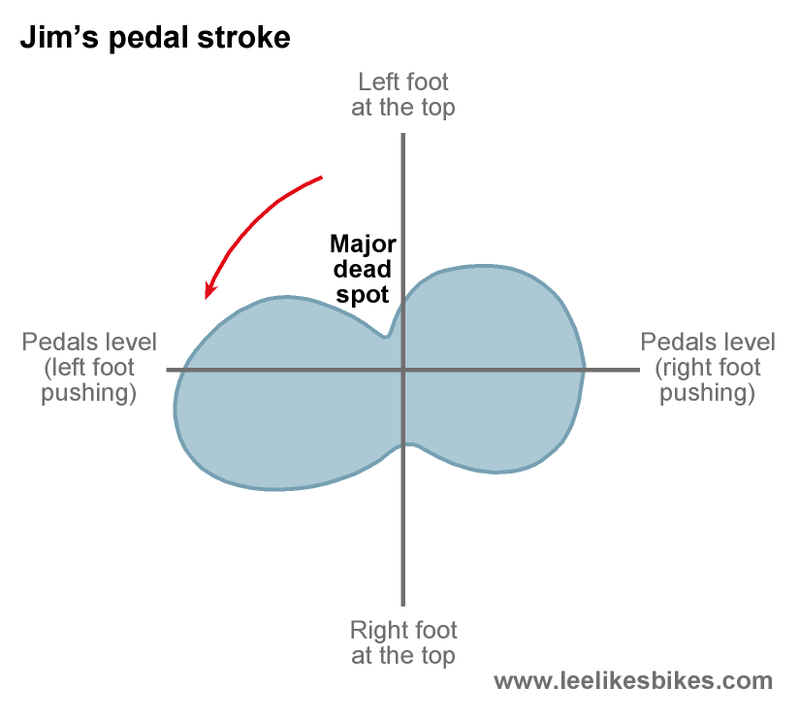 However, you have a minor dead spot at the at the top of your right pedal stroke (bottom of your left pedal stroke). You have a major dead spot at the top of your left pedal stroke (bottom of your right pedal stroke). Peak power still hits a bit below level, but you can see less of a dip at 12 and 6 o’clock. This rider is pedaling “rounder” and, theoretically, more efficiently. The traditional advice: Scrape your pedal backward across the bottom of the stroke, then pull it upward on the upstroke. That’s smoother than simply mashing the pedals, but it uses relatively small, weak muscles. Plus it requires clip-in pedals. Give this a try: Your hips and legs are made to push. Instead of trying to pull across the bottom of the stroke, focus on pushing across the top of the stroke. For many riders, this provides more, easier power. Plus it works with all pedals. Check out the diagrams and drills in Pump Up the Base. Here’s my SpinScan from October 2010, about a year after I first embraced pedaling as a skill. This chart goes clockwise. At this moment I am 1) riding flat pedals and 2) pushing forward as soon as I can. This was pretty smooth, but my left leg was being dumb. After four years of practice, I’m ready for another SpinScan test. As you know, PUTB combines sustained pedaling with all-out sprinting. 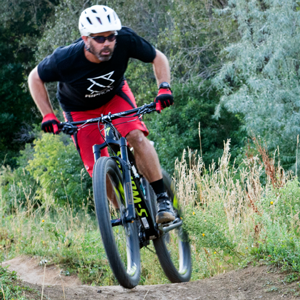 When you’re holding sweet spot power, try to pedal as smoothly as possible. Push across the top. Make that peanut into an egg. When you’re sprinting, CRUSH THE PEDALS! Forget about everything except pushing down as hard and fast as you can. 1,000 watts, 1,200 watts … what can you hit? These skills support each other: When you can pedal more smoothly at moderate intensity, you can reach even higher peaks. When you can reach higher peaks, you can pedal even more smoothly at moderate intensity. Hey, thanks Lee! 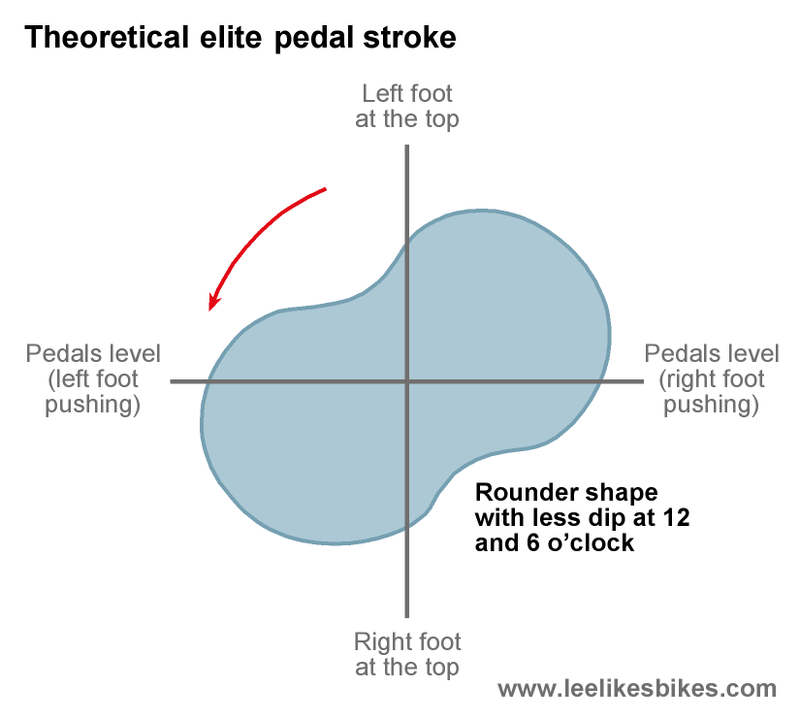 The good news is — at times — I can make my stroke look a lot like the theoretical elite pedal stroke. (But only for maybe 5-10 seconds at a time) I’ll just have to concentrate on it more during the Level 1 rests, and over time make it become habit. Hit 1263 watts on one of the sprints today. As far as I know, that’s a PR. Thanks for answering my question. It definitely shed light on the whole thing. Definitely recommend Pump Up the Base to all considering it. May I ask, how long are the cranks on that bike? Good question. It doesn’t feel much different than my bike, so I’d say 175, but maybe they’re 180. I’ll have to check now that you bring it up. I’m usually around 1050 or 1100. 1200 was a surprise. I think some of those guys who ride up there — the national team track cyclists — hold more than that for about 15-20 seconds. It’s amazing to watch. The Wattbike website says they’re 170, but as you know, specs on the internet can differ from reality. I’m curious about how you feel about the newer oval chainrings and how this might apply? The oval ring makers claim to help you pedal more smoothly and powerfully. I’d love to look into this more deeply. Back in the late 80s we all rode Shimano Biopace non-round rings, and we were pretty happy. Hi Lee, I’m a big fan, interesting post as usual, I’m curious as to whether there is any benefit to ‘scraping back on the pedals’ as opposed to pulling up on them. By this I mean trying to emulate the movement of the legs whilst running by pointing your toes past 6 o clock, I find this works very well for me in low cadence situations and where there is little grip because the power is distributed round the stroke more evenly, at the moment my mountain bike has flat pedals. This seems to help me to get going on my track bike as well until I’m up to high cadence. Just wondered if this helps at all, cheers. I believe you’re on the right track — that the ankle should be involved all the way around the circle. The best prescription riding glasses — ever How do I ride this massive roll-in?